When I started podcasting in 2005 I had 5 kids 10 and under in my house. It seemed like a pipe dream that I’d ever get an episode published. Over the years I’ve learned a few things about podcasting as a hobby. One of them is how to podcast with kids in the house. 1. Do a lot of prep for your podcast. You can usually do this in 20-30 minute spurts. This will help you organize your thoughts and have a plan. Also, pick a specific day and time you will record. Let your wife know. Before you record make sure the dishes are done, the trash has been taken out of the house, and rub your wife’s feet or give her a massage. In other words, bribe your wife. 2. Leave the house. Ask your pastor if you can use the church. Go to a park. Record in your car. Record at work on your lunch break. I’ve recorded podcasts at the park, in my car, and on my lunch break. If there isn’t a specific time and place that is conducive to podcasting you’ll need to find a way to fit it in. 3. Record early in the morning or late at night. This may mean you can’t be as enthusiastic (loud) when you record but you can still record. This also means making sure you’ve got your stuff together. Get up 30 minutes before the family and record. Just record. Don’t worry about posting it online, etc. Just record the episode and worry about the logistics later. If all you have is 20-30 minutes then record the episode and find time later to edit and post. 4. Give yourself a time limit. If you think you can go 20 minutes without interruption then bang out your podcast in 20 minutes. Do worry if it’s “not long enough”. Studies show that the “sweet spot” for podcasting is about 22 minutes. Why? Many people listen on their commute. You don’t need to feel like you’re short-changing your audience with a 20-minute podcast. 5. Include your kids. You don’t necessarily need to have them as part of the podcast but you can make it a challenge for them. I have, in the past, challenged my kids to be quiet for 30 minutes. If they’re successful they get a small reward. Explain to them that they’re helping daddy podcast by being quiet. That’s how I’ve done it the past 9 years. I still employ some of these techniques because I have 6 kids in the house. There’s hardly ever any time when it’s quiet before 9 p.m. and I’m usually getting ready for bed by then. Once in a while I’ll get a few hours of quiet and I don’t usually take advantage of those opportunities to podcast because I’m enjoying the silence! You may be in the same situation just don’t forget to press record. 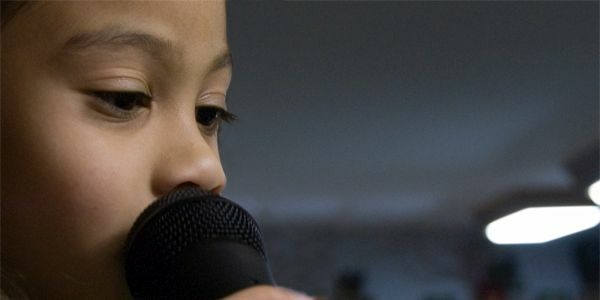 Do you have any tips for podcasting when you have small kids in the house? I’d like to hear from you!